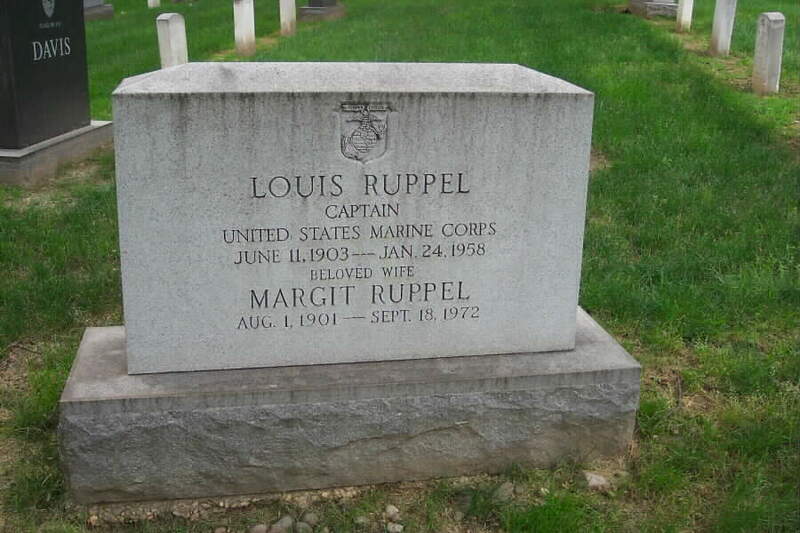 Louis Ruppel was born on 11 June 1903 and died on 24 January 1958. He served in the Marine Corps and was also the Deputy U.S. Commissioner of Narcotics as well as the Editor of the Chicago Times, editor of the Chicago-American and editor of Collier's Magazine. He is buried in Section 30 of Arlington National Cemetery. 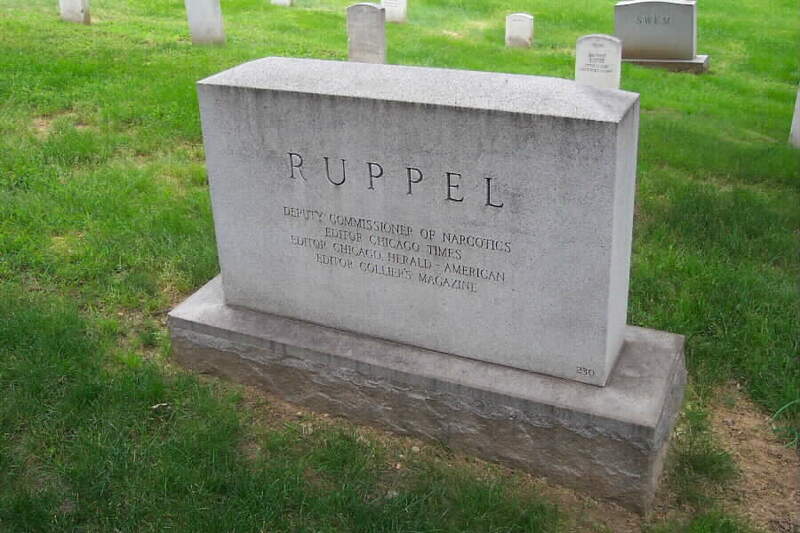 His wife, Margit Ruppel (1 August 1901-18 September 1972) is buried with him. If you have information regarding these individuals, please contact the Webmaster.